In the modern, increasingly interdependent and complex world, an international education is an absolute necessity – a balanced education, teaching not only to the mind, but also to the heart. It is vital to begin such an international experience from early childhood. At Wells International School and Kindergarten, we understand the importance of such a learning experience. We believe that, while each child is unique, there are qualities that each will need in order to join global society. All students need to learn respect for themselves as well as others, attain open-mindedness and tolerance, and acquire the ability to take responsibility for their actions. We try to promote such qualities by providing a truly international education, helping each child attain a multi-cultural perspective while encouraging each to appreciate his or her own unique cultural background. Constantly striving for academic excellence, we encourage students to become life-long learners by helping them develop necessary attitudes and skills, ensuring their success in the global international community of tomorrow. In the fall of 1998, the Wells International Kindergarten (formerly EverClever Kindergarten) welcomed its first students on Sukhumvit Soi 47. As the school grew with children joining from the surrounding community, plans were already in the making for a primary school campus at nearby Sukhumvit Soi 51. In 2003, the Wells International School – Thong Lor Campus accepted its first students, ranging from grades 1 to 5, and expanding to grade 6 the following year. In 2005, construction began on a secondary school about 5 kilometers down Sukhumvit Road, and in the fall of 2006, the Wells International School – On Nut Campus opened to grades 1 to 12. Starting with just 4 kindergarten students back in 1998, the Wells community has grown to a current enrollment of approximately 1000. It saw off its first graduating class in June of 2010, as the graduates moved on to prestigious universities in the United States, Europe, Asia and Australia. The 2011-2012 school year heralded major changes, as Wells International Kindergarten at Phrom Phong closed its doors, moving to the Thong Lo campus, and the new Bang Na campus opened for kindergarten students on Srinakarin 62.Our most recent expansion occurred when our new Primary School Building opened up in 2015 at the Bangna Campus. 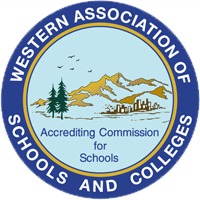 Wells International School is accredited by the Western Association of Schools and Colleges (WASC), licensed by the Thai Ministry of Education and a member of the International Schools Association of Thailand (ISAT). Wells offers a rigorous, university-preparatory American curriculum, modified to take into account major regional and philosophical differences, and to adhere to Thai Ministry of Education regulations governing international schools. As a member of the Asian International School Athletic Association (AISAA) and the ASEAN Schools Athletic Conference (ASAC), Wells offers numerous opportunities to participate in competitive team and individual sports such as volleyball, basketball, soccer, and tennis. Wells students also participate in academic competitions and events such as debate and Model United Nations. And, of course, students are encouraged to actively participate and contribute to charity and philanthropic projects ranging from visits to local orphanages, volunteering in reforestation projects, or addressing Bangkok’s abandoned pet problem. The local community has benefited tremendously not only from the generosity of Wells students, but also from their unending commitment to making the world a better place for generations to come. Clearly, Wells International School helps prepare its students to face the rigors and challenges that the world presents to them. With an excellent blend of academic, athletic, artistic and philanthropic vision, Wells International School does truly expect to change the world, one student at a time. The Wells International School System, spanning mid- to upper-Sukhumvit Road and Srinakarin, is easily accessible from virtually all parts of Bangkok; all three campuses are situated near a BTS Skytrain Station and/or major highway. Parents are welcome to tour our facilities, visit our classrooms and speak to an administrator: Simply contact us to set an appointment.